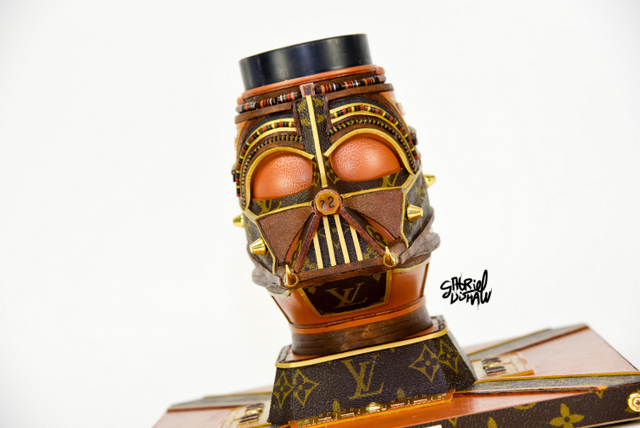 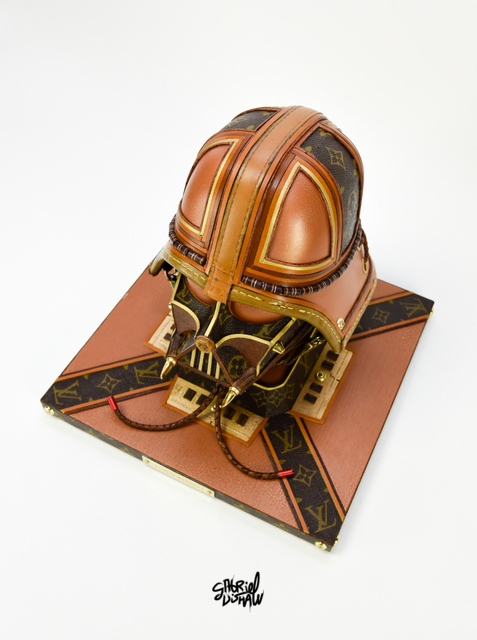 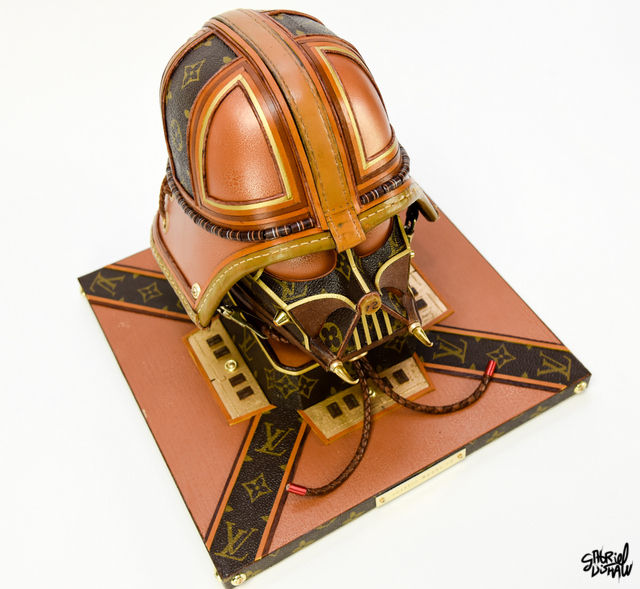 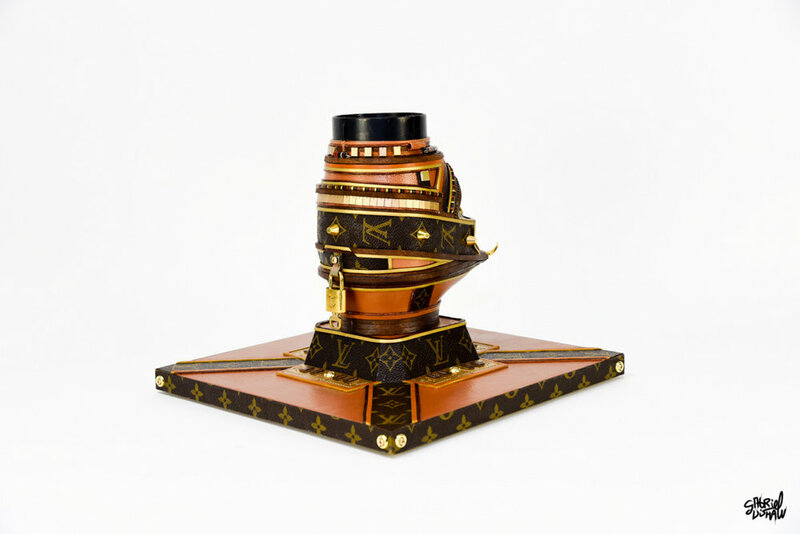 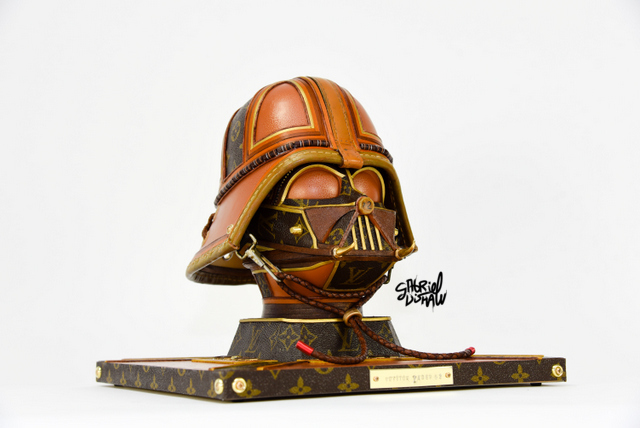 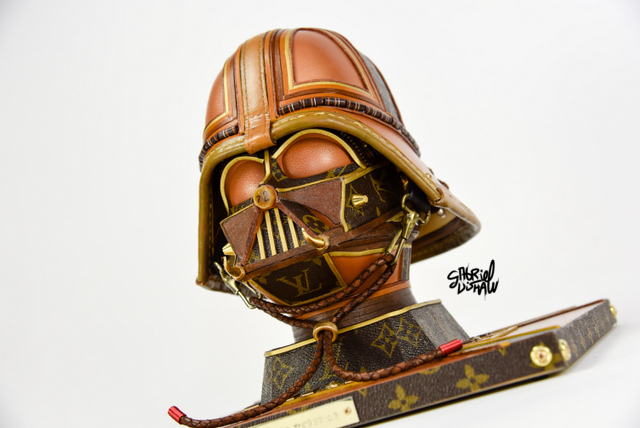 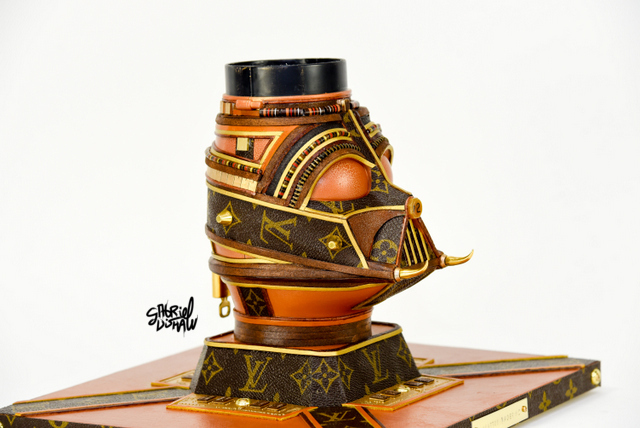 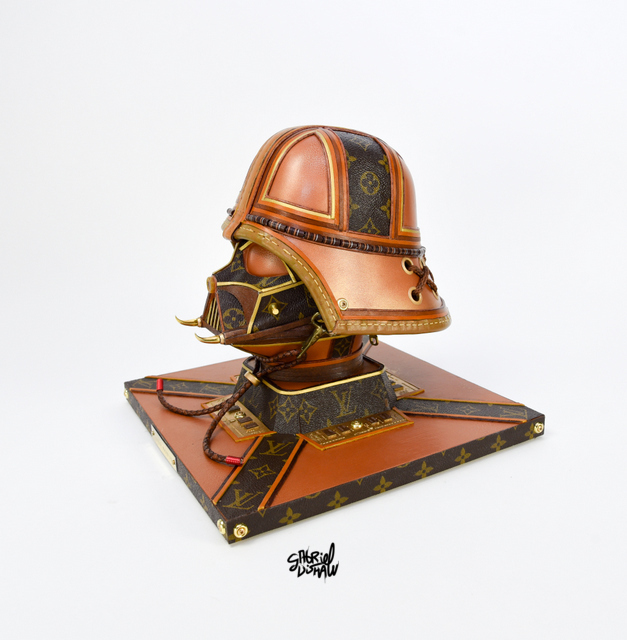 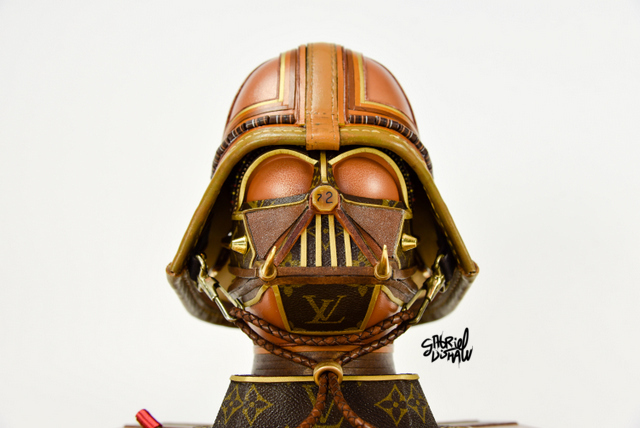 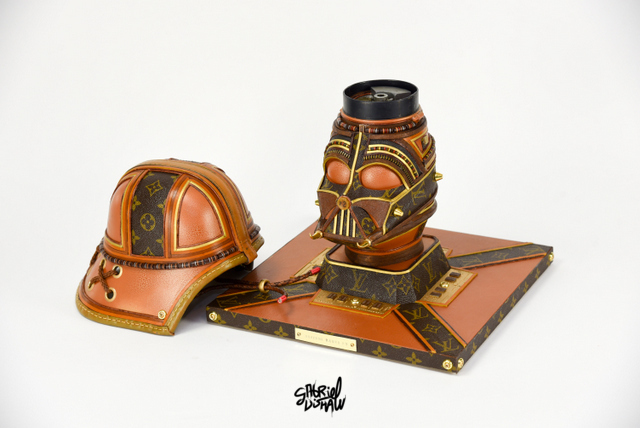 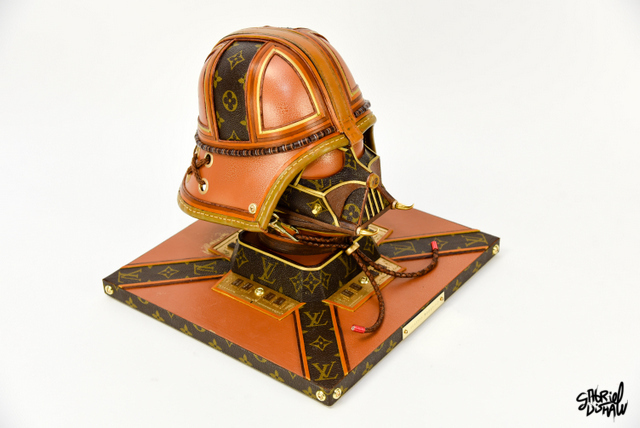 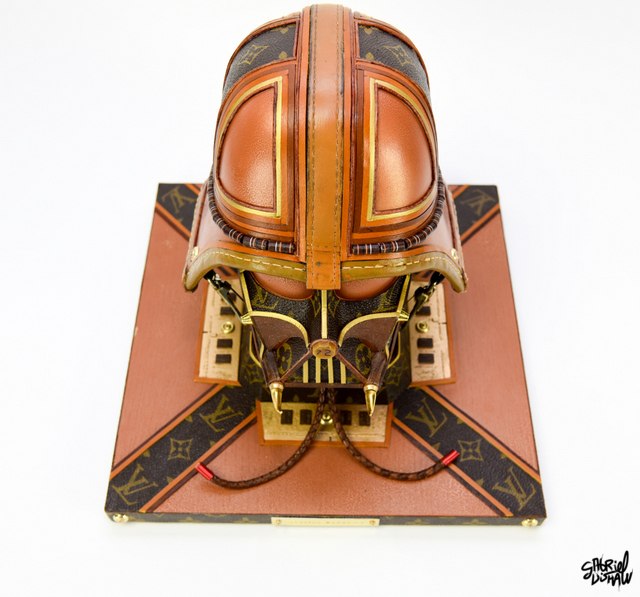 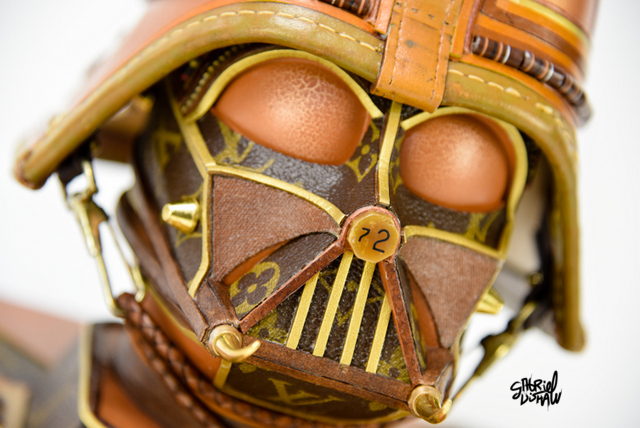 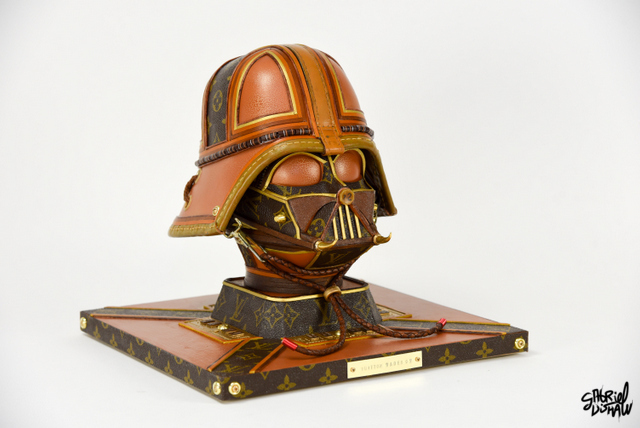 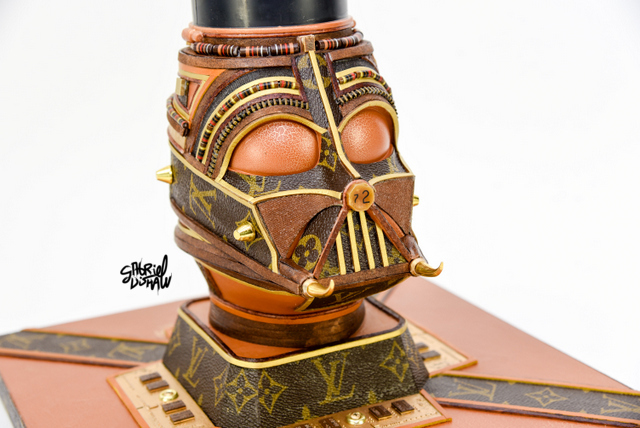 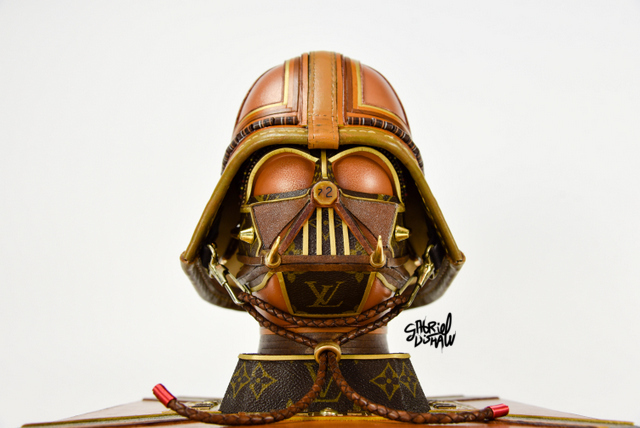 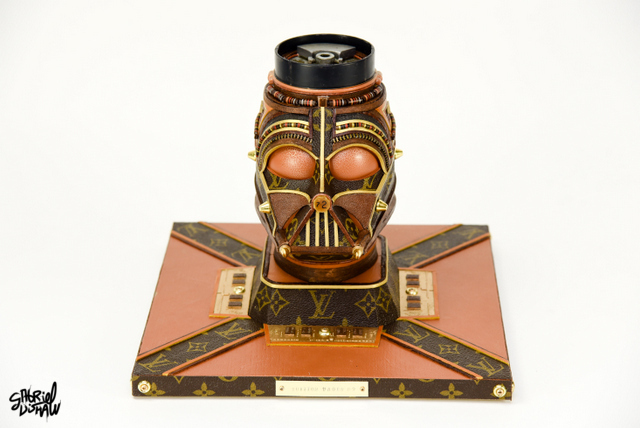 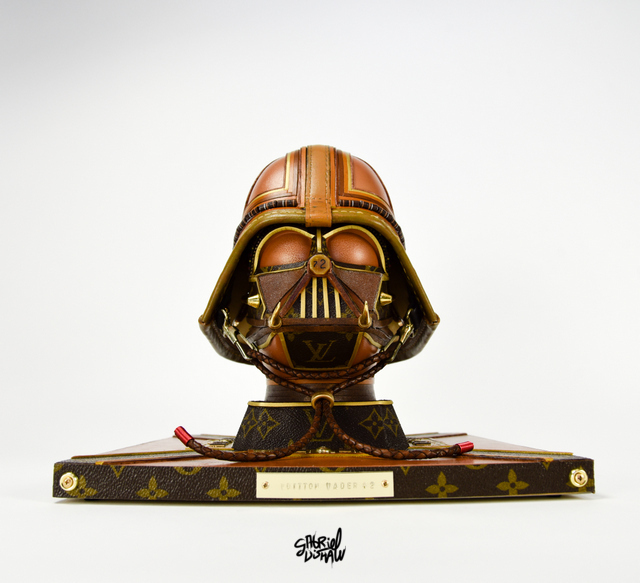 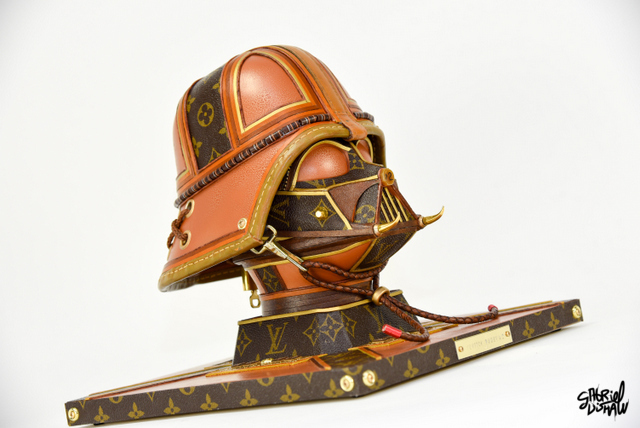 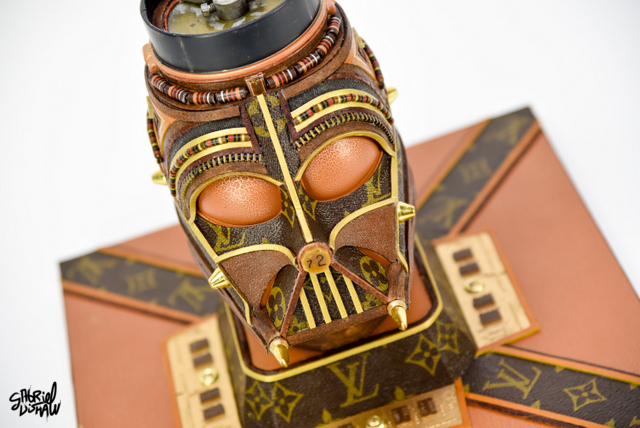 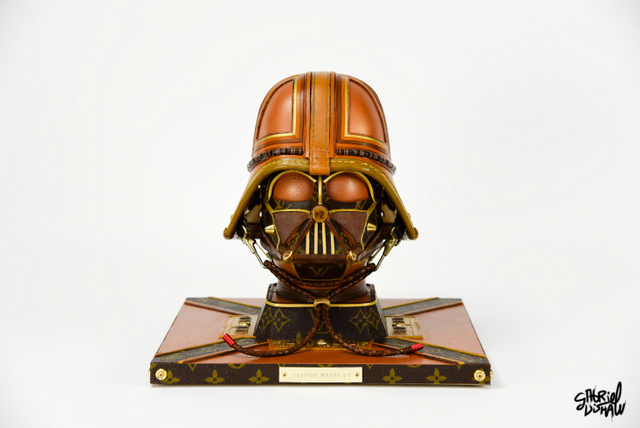 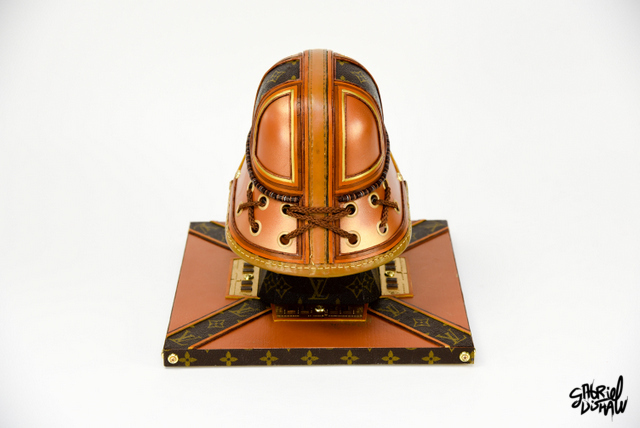 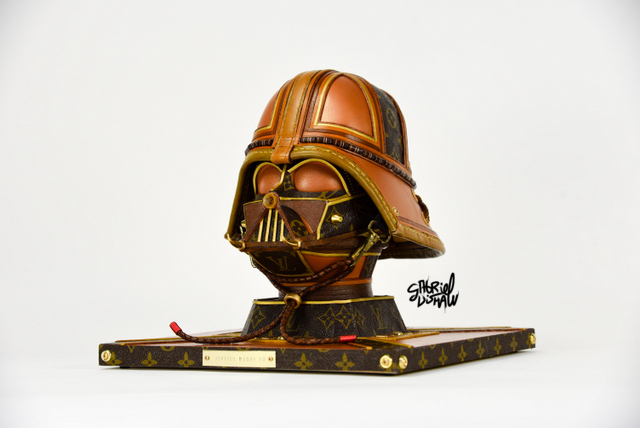 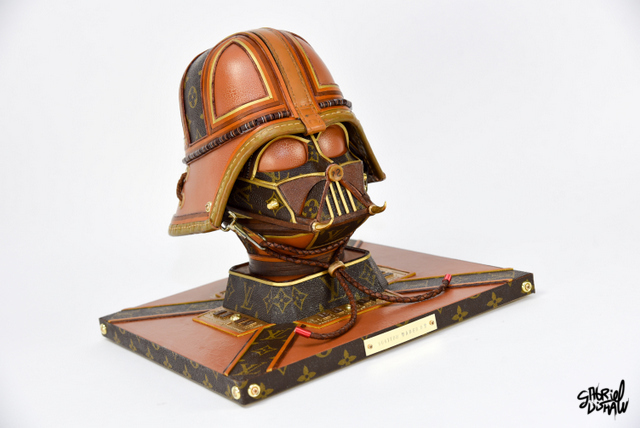 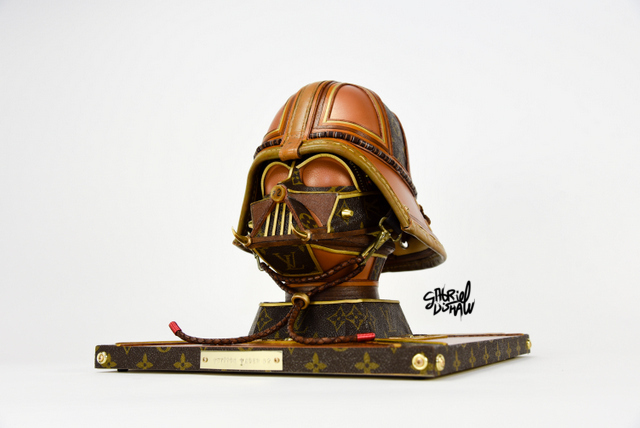 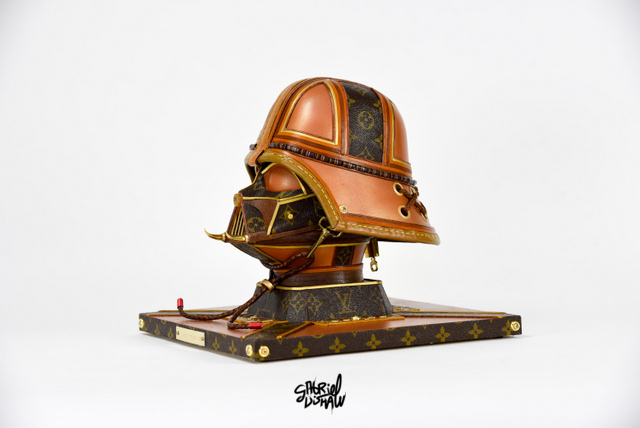 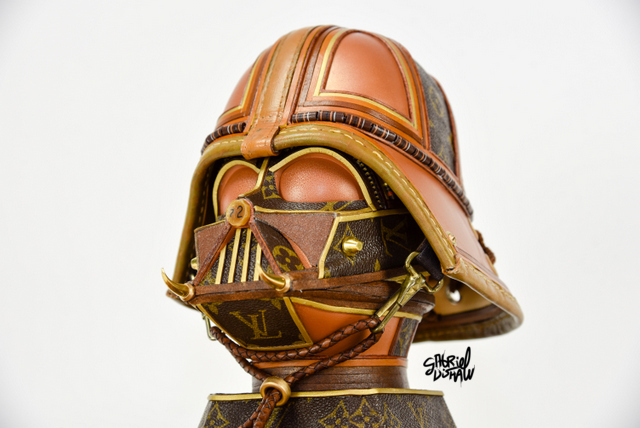 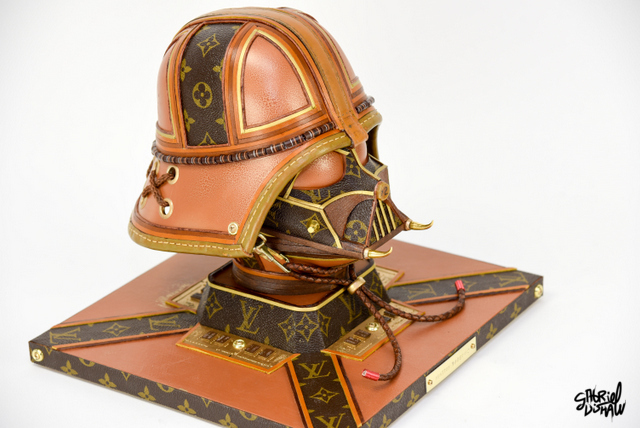 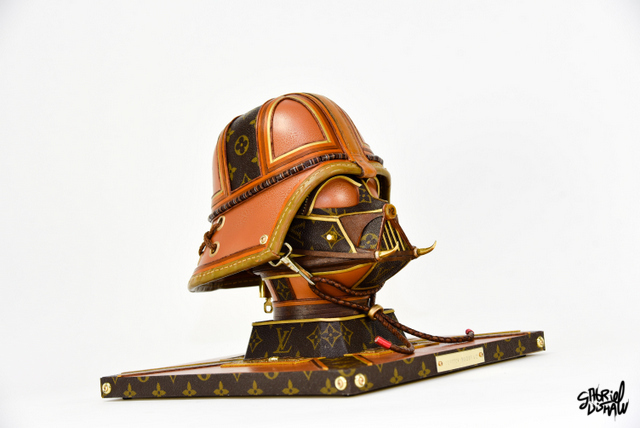 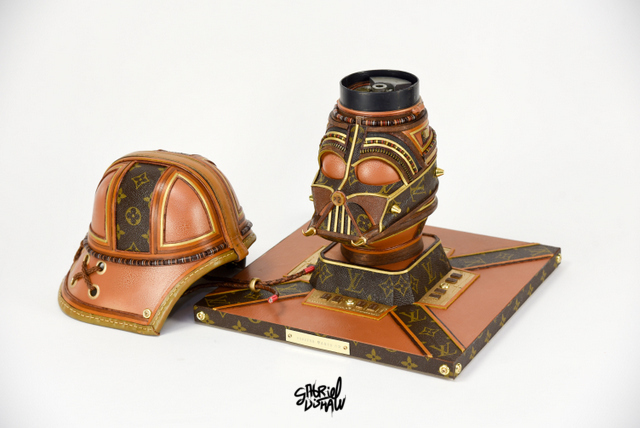 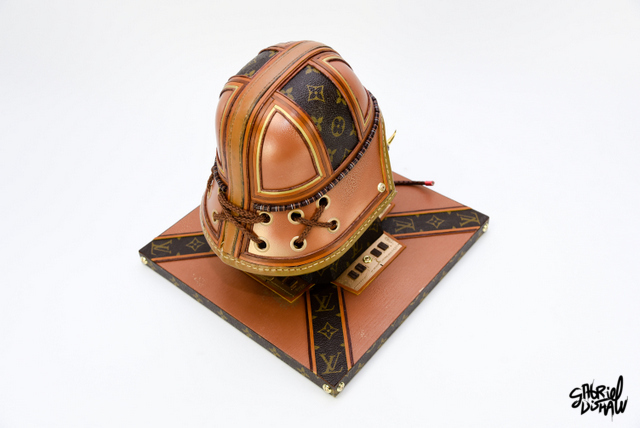 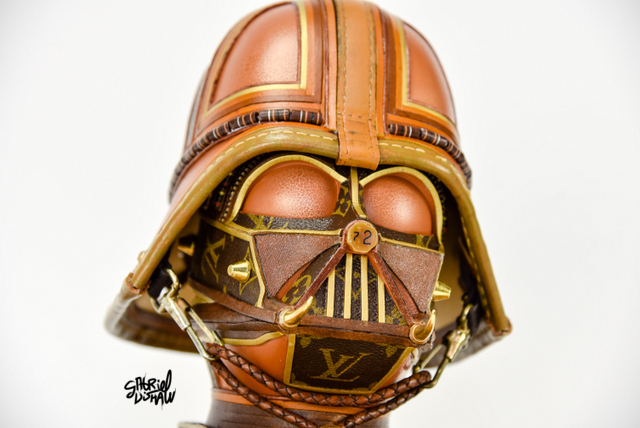 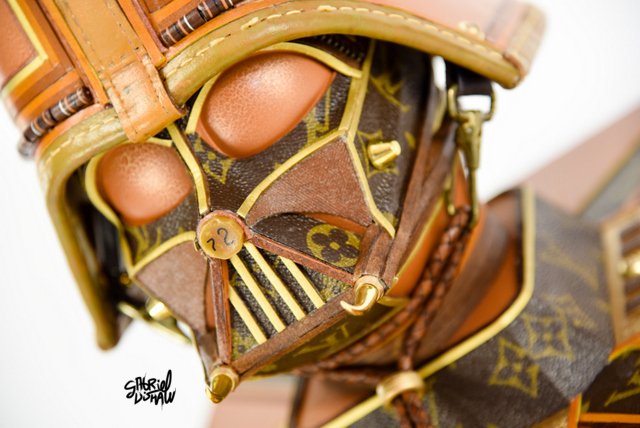 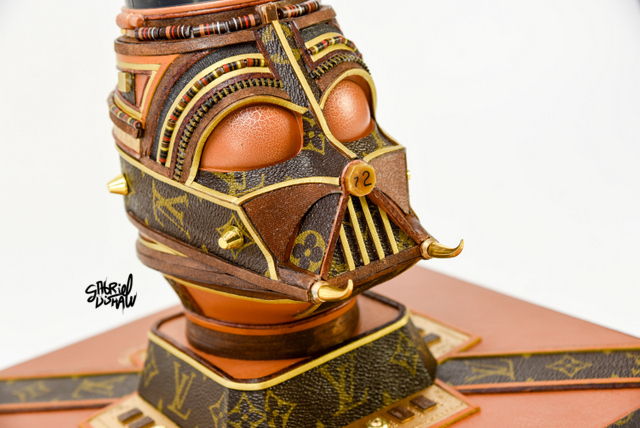 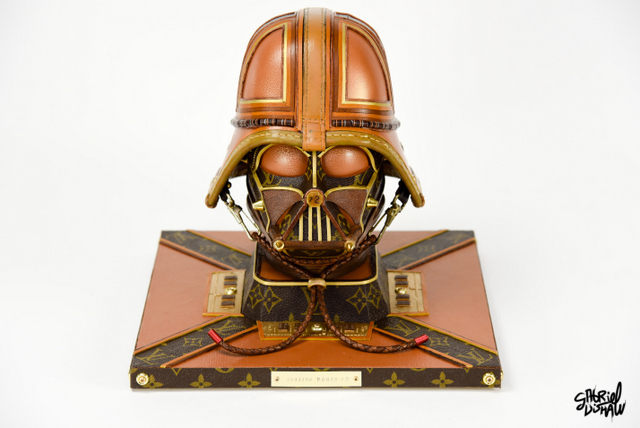 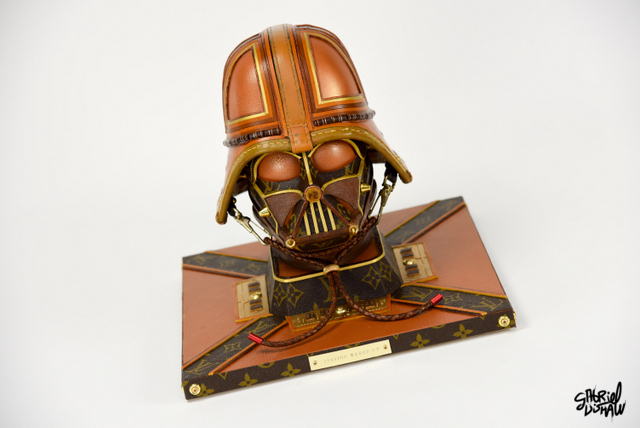 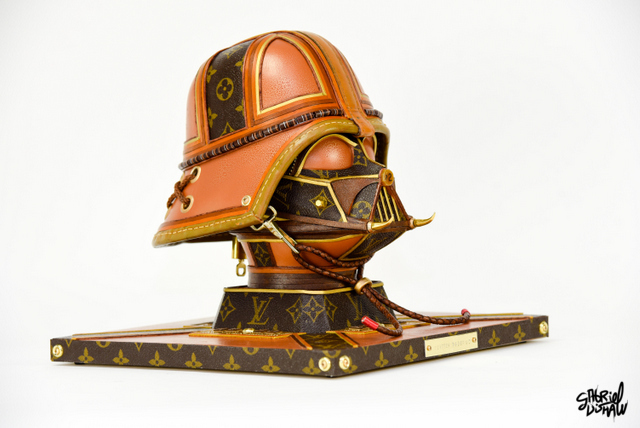 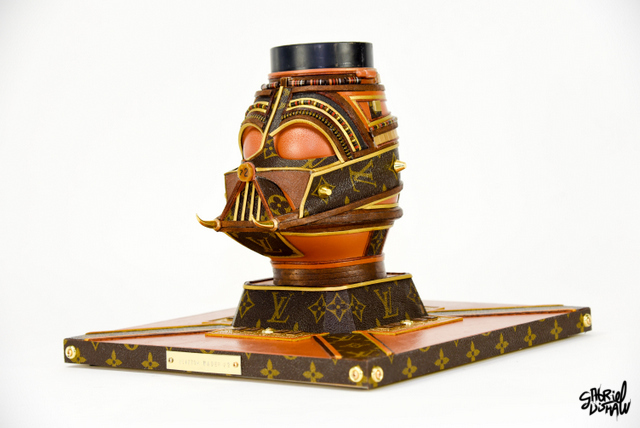 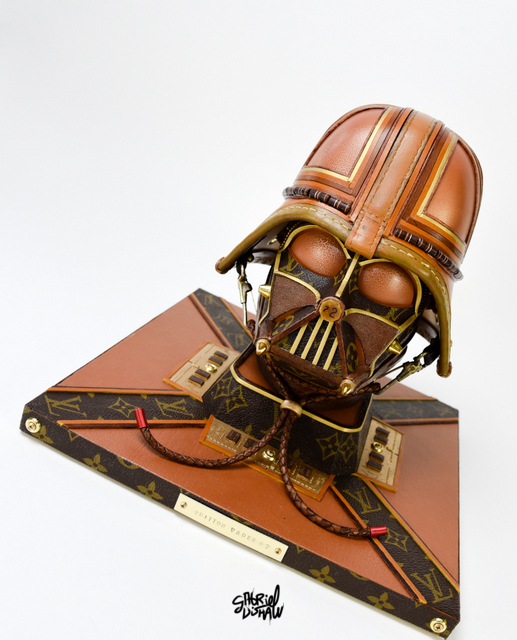 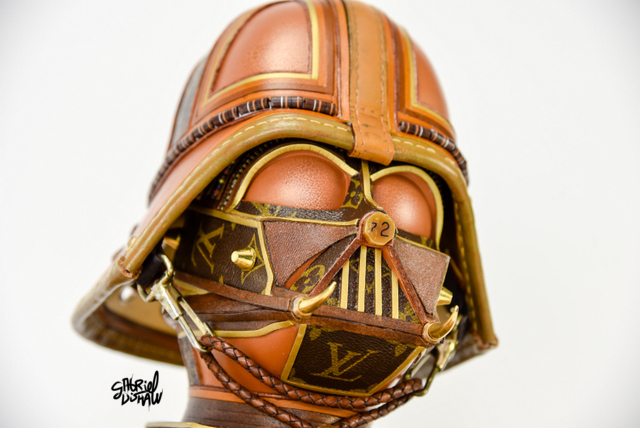 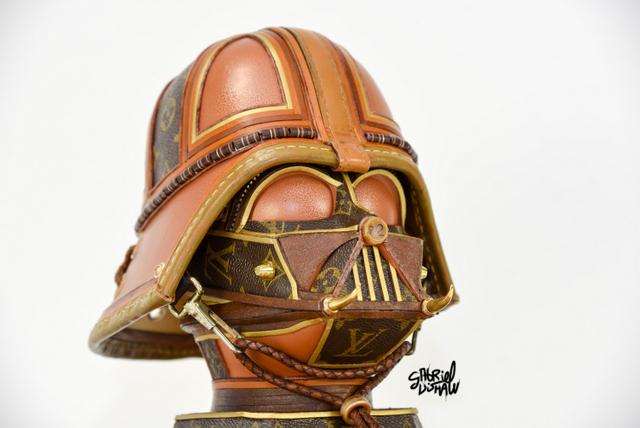 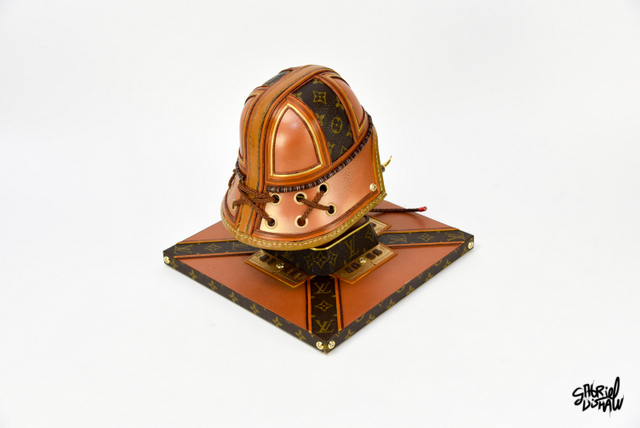 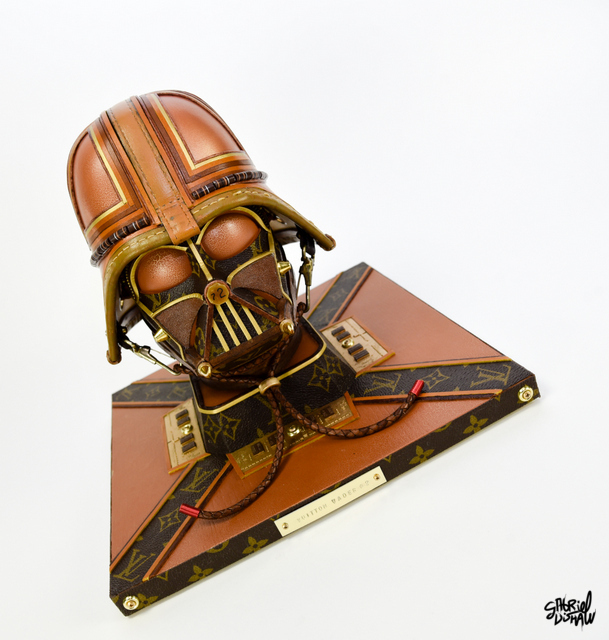 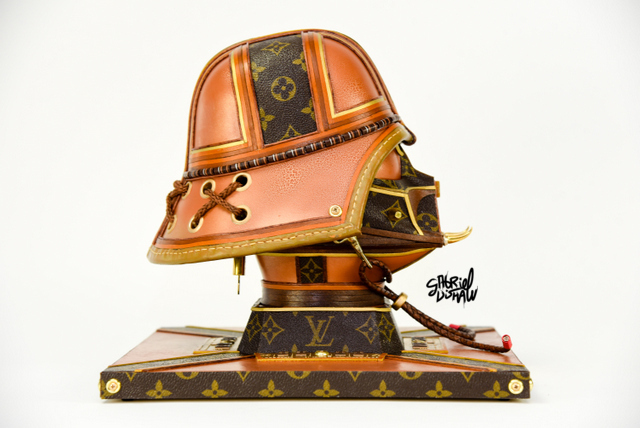 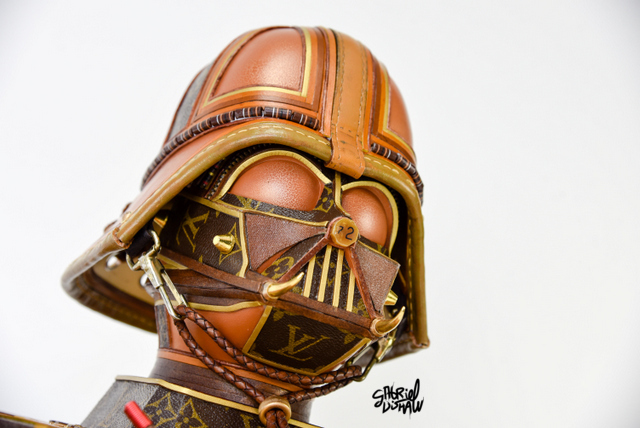 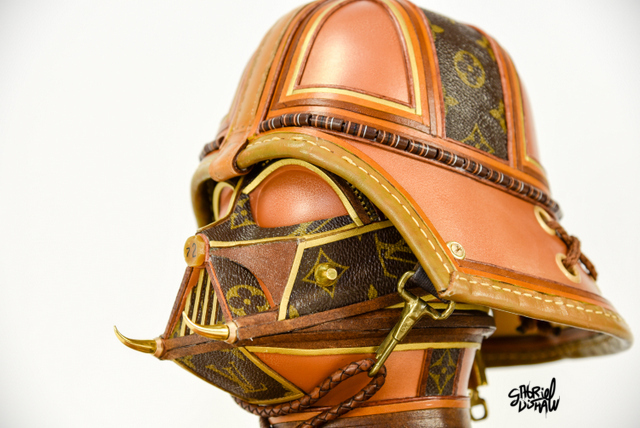 This upcycled Vader was inspired/modeled after the iconic Luxury Brand Louis Vuitton and was created using a vintage piece of LV luggage. 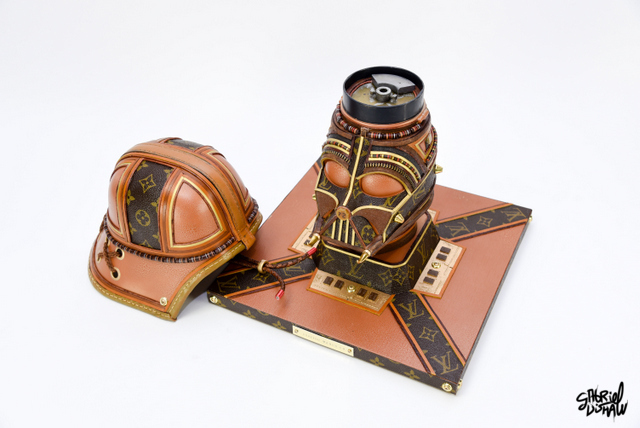 Materials Used:1 vintage (70's era) Louis Vuitton piece of luggage, leather, piano parts, wire, computer chips, capacitors, zipper, braided leather, ram and other upcycled materials. 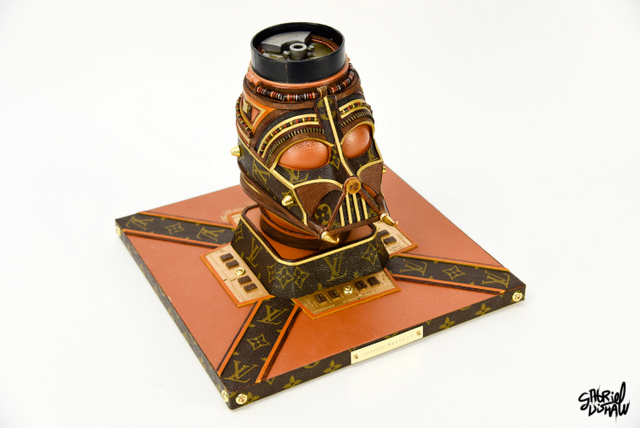 Dimensions: 11.5 inches tall , 12.0 inches wide and 12 inches deep.